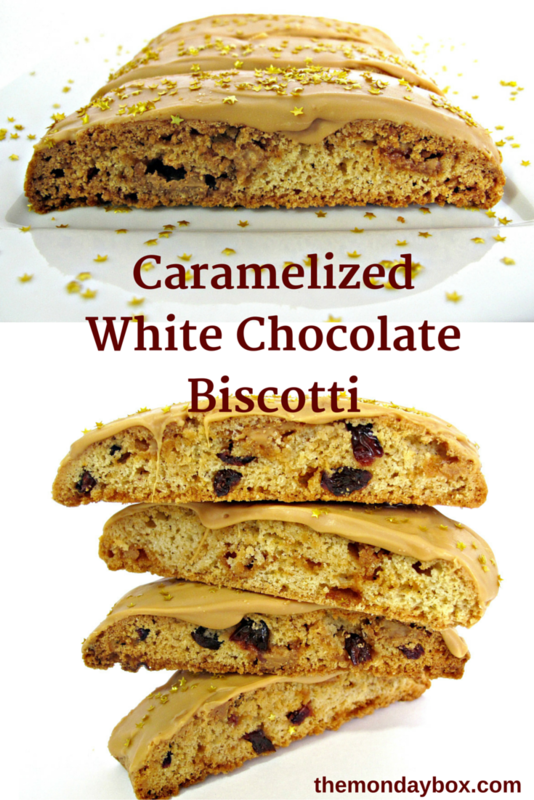 This week I played with chocolate making Caramelized White Chocolate Biscotti. I have been experimenting with another technique I learned about while reading posts by Anita at Sweet Hope Cookies. 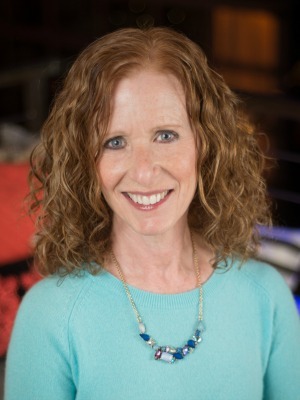 I’ve shared the de-chipping method I learned from Anita. She also introduced me to the David Lebovitz posts on caramelized white chocolate. 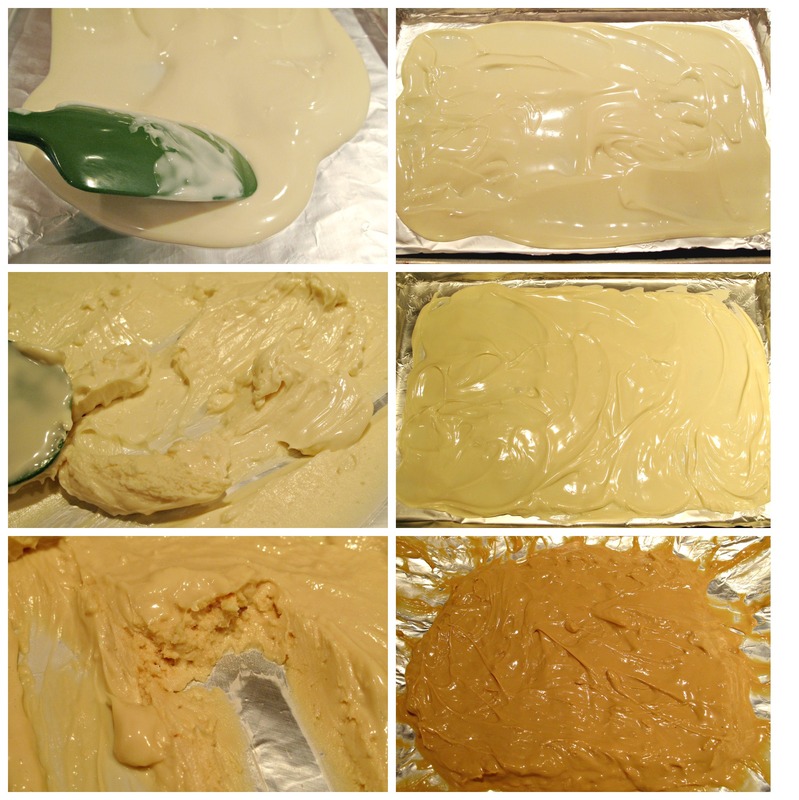 Similar to what happens when making dulce de leche, you start off with sweet whiteness and end up with more deeply flavored, caramely, sweet brownness. All I can tell you, is that the resulting flavor from caramelizing white chocolate is intensely wonderful and well worth the hour it takes to stock pile a supply for various baking projects plus some extra for nibbling. The process is very simple. White chocolate is gently melted with a tablespoon of oil in the microwave. The melted chocolate is then spread out on a sided baking sheet and baked in the oven at 250 degrees F for 10 minute intervals. After each interval the chocolate is stirred and re-spread. Slowly, the chocolate gets thicker and darker. After about 40-60 minutes the mixture looks like peanut butter and is finished cooking. It is not an exact science. The caramelized chocolate will solidify at room temperature in a few hours but you can speed the process by putting it in the fridge or freezer for about 15 minutes. 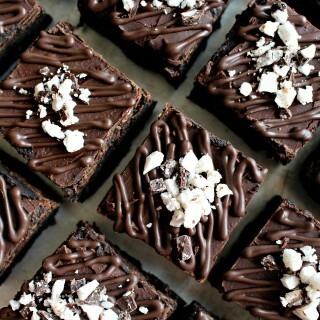 Once solid, the chocolate can be broken into chunks and used in baking or stored in an airtight container at room temperature for at least 4 weeks. Yes, it takes an hour. Yes, it is worth it. The directions emphasize that the quality of the white chocolate is important and that a minimum of 30% cocoa butter is recommended. White chocolate chips or white candy coating will NOT work. 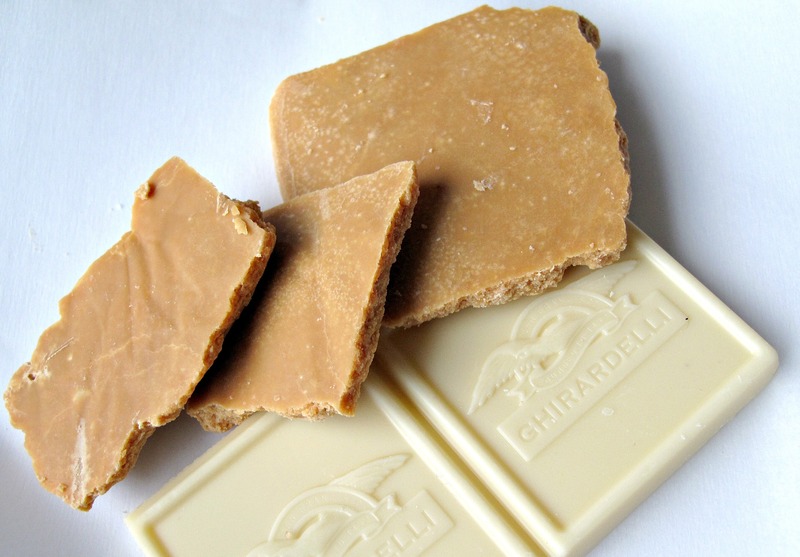 I made two batches of caramelized white chocolate to try out two different brands, Lindt classic recipe bars and Ghirardelli white chocolate baking bars. The caramelized flavor of both brands was almost identical but I found the Ghirardelli to be smoother while cooking and when re-solidified. The creamy caramel flavor of caramelized white chocolate deserves a platform where it can shine, not compete for attention with other flavors. Biscotti are a favorite of mine and are the perfect care package cookie. They are sturdy travelers and stay fresh for a very long time. 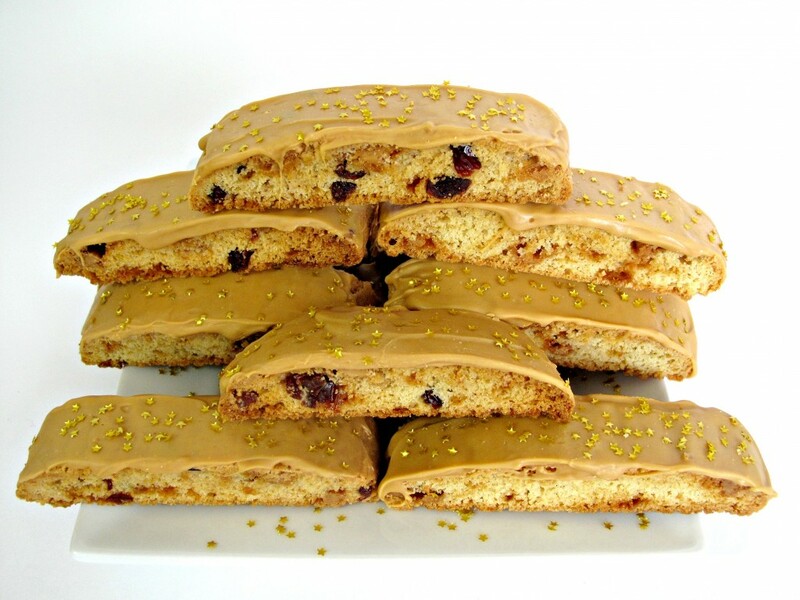 These Caramelized White Chocolate Biscotti are crunchy but not hard. 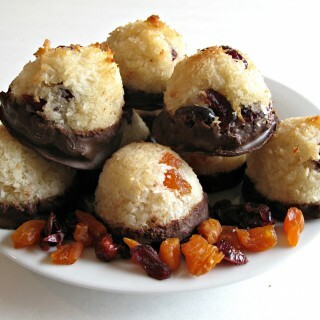 They hold up to traditional biscotti dipping, but dipping isn’t required. Chunks of caramelized white chocolate infuse the biscotti dough with caramel color and flavor. A spread of melted chocolate is literally the icing on the cake. I added dried, sweetened cranberries (Craisins) to half of my biscotti dough. The cranberries enchanced rather than overwhelmed the white chocolate. A good match. Caramelized White Chocolate Biscotti are also a good match with champagne. Odd but true. I taste tested several times to be sure. 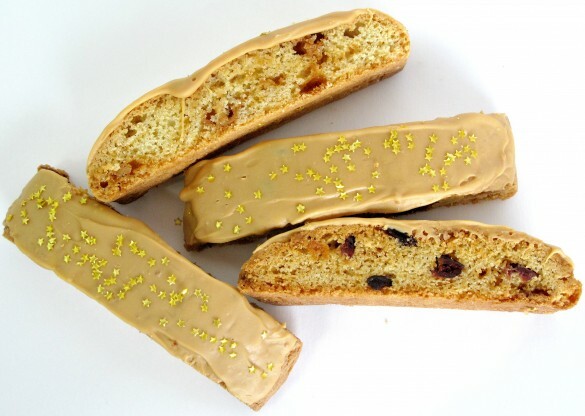 So, if you need something to munch with your champagne tonight, or have left over champagne tomorrow, these biscotti are an excellent choice. Happy, healthy, peace-filled New Year! Note: 4- 4oz. bars of white chocolate will produce more caramelized white chocolate than is needed for this recipe. The extra can be eaten, melted as a sauce, or saved for future baking. Hardened caramelized white chocolate can be stored in an airtight container at room temperature for several months. Place the chocolate chunks and oil in a medium microwave-safe bowl. Microwave on medium heat for 1 minute. Stir. If not completely melted, repeat heating for 10 second intervals , stirring between intervals. Pour the melted chocolate onto a baking sheet with sides. Spread evenly with a spatula. Place in the oven for 10 minutes. Remove the pan. Stir the chocolate with the spatula then re-spread. Continue this process (heating for 10 minutes, stirring, spreading) until the chocolate is a deep golden brown like peanut butter. This can take 30-60 minutes depending on the chocolate used. Allow the caramelized white chocolate to harden (several hours or overnight). 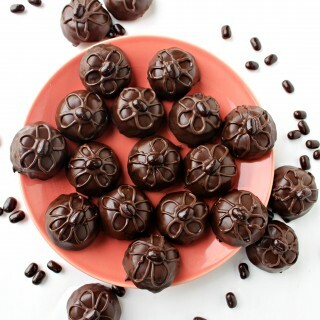 The chocolate can also be hardened quickly by placing in the freezer for 10-15 minutes. Break into chunks and use or store in an airtight container. Preheat oven to 350 degrees F. Line baking sheet with parchment. In the bowl of an electric mixer, cream butter, sugar, salt, vanilla extract and baking powder until smooth. Add eggs, and beat to combine. On low speed, slowly add flour and mix until smooth. Stir in chopped caramelized white chocolate and, if using, optional Craisins. Divide the dough in half. Scoop onto the baking sheet. Shape into 2 logs about 9” x 2”. Remove biscotti logs from oven and reduce oven temperature to 325 degrees F.
Stand the slices on edge on the baking sheet. Put the completely cooled biscotti on edge, on a parchment or wax paper lined baking sheet. 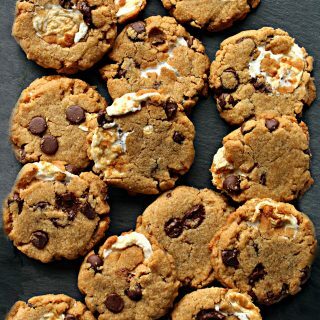 Place caramelized white chocolate chunks and shortening in a small microwave-safe bowl and microwave on medium power in 10-20 second intervals until just melted. Stir in between intervals. White chocolate burns easily, so watch the chocolate carefully to not over cook. 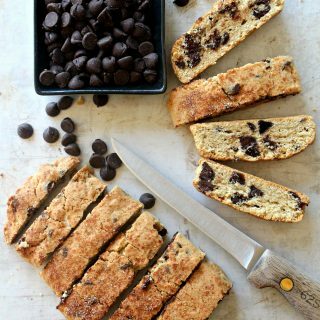 Spread the melted chocolate over biscotti with an offset spatula or knife. Allow to set until firm for several hours or overnight. 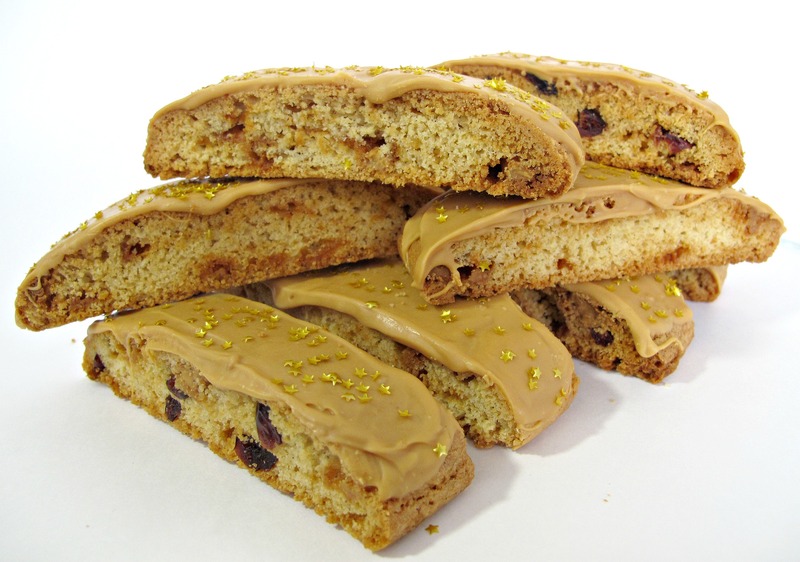 Packing tips: Do not ice the biscotti if mailing to or from a hot location. Bundle 2 or 3 biscotti together in double plastic wrap. Place bundles in an airtight container or zip lock bag. Thanks! Wishing you a joyous NewYear! So I had no idea you could caramelize white chocolate! I’m so intrigued! 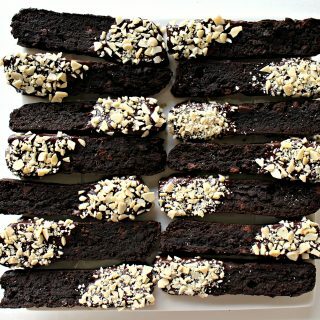 And I have a huge soft spot for biscotti – I made a batch for Christmas but now I kinda want to make some more! Happy Happy New Year Wendy!! You are a genius! 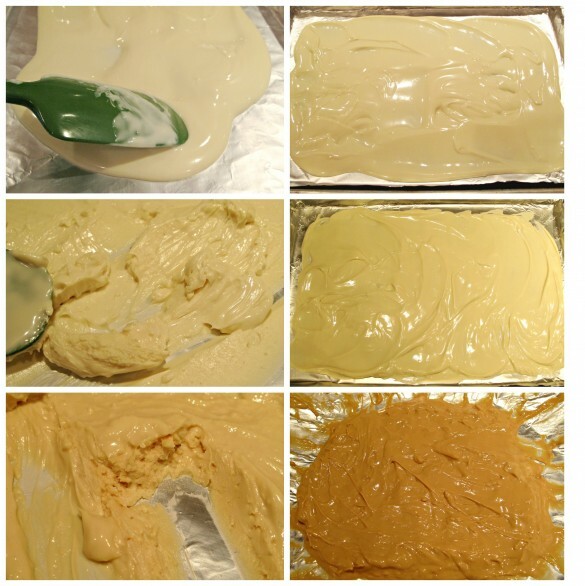 What an insane thing to do to white chocolate – GOOD insane! Love this! i’ve definitely been meaning to try my hand at caramelized white chocolate. Whoa does it look good on these biscotti!! Happy New Year Wendy! Hope you and your family had a lovely holiday. This biscotti sounds wonderful. I can go for a cup of coffee right about now. 😉 Delicious! Thanks, Anne! Happy New Year to you as well! Nothing like a warm cup of coffee (preferably with a cookie) to warm the soul. 🙂 Especially with the crazy cold temperatures we have been having! These look fantastic! Biscotti and champagne are an excellent combination! Happy New Year, Wendy! How have I not ever seen that David Lebovitz post! : ) I have to check it out. Funny because I also was reading an article this morning on caramelized white chocolate cocoa. 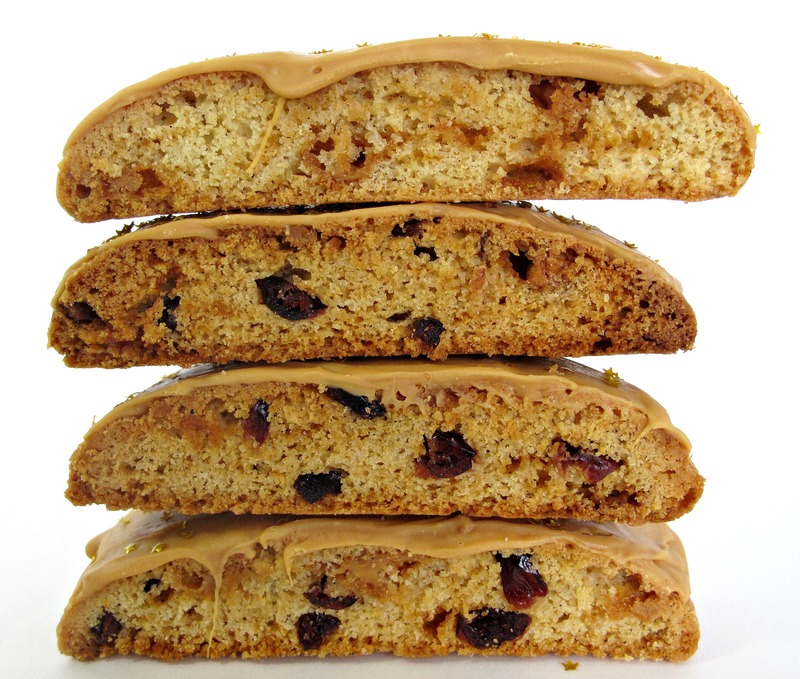 Your biscotti looks terrific – I love myself some biscotti anytime so I really enjoy seeing new recipes and getting fresh ideas. Hope 2014 is starting off beautifully for you! Happy New Year, Monica! I think the reason you haven’t seen the Lebovitz post is that it was about white chocolate instead of chocolate chocolate (your favorite). 🙂 But it is well worth reading because on its own or as an accent with dark chocolate, caramelized white chocolate is wonderful! 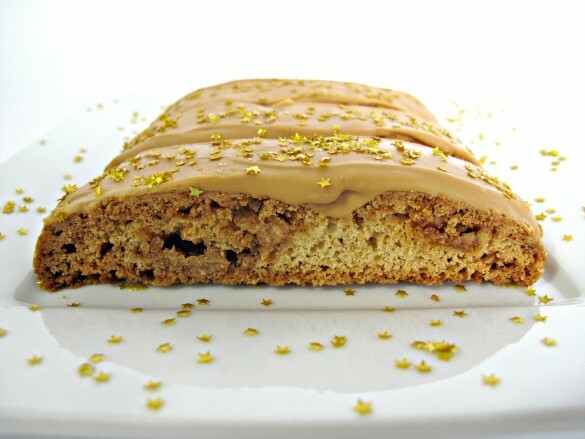 It worked so well in the biscotti, now I am thinking it would make an amazing buttercream or ganache, cupcake or cookie as well! Hi There, This is a terrific post ! The biscottis are looking awesome and perfect to store and munch anytime. It’s wonderful to see your each and every post. Hope to see more of your creative endeavors ! Wish you and your family a very Happy and Blessed New Year!!! Thank you so much, Sonia, for your kind words!! I’m so glad you stopped by. 🙂 Several weeks after baking these biscotti, I am still enjoying them! I love how biscotti stays fresh (sometimes even improves) over such a long time. Wishing you and your family a healthy, happy, and peace-filled New Year!